Professor Van Horn received his BSc in physics from Case Institute of Technology (1960) and his PhD in physics from Cornell University (1966). He did postdoctoral work at, and subsequently joined the faculty of, the Department of Physics and Astronomy at the University of Rochester. He became Professor of Physics and Astronomy (1977-96), and he was named Senior Scientist at the University's Laboratory for Laser Energetics (1985-96). He chaired the Department of Physics and Astronomy (1980-86), served as Acting Associate Dean in the College of Arts and Science (1987-89), and returned as Acting Chair of the Department of Physics and Astronomy (1992-93). In 1993, he was named Director of the Division of Astronomical Sciences at the National Science Foundation (NSF), holding this position until 2000, when he became Senior Science Advisor in NSF's Directorate for Mathematical and Physical Sciences. In 1996, he was appointed Adjunct Professor of Physics and Astronomy at the University of Rochester, and he continues to hold this position. 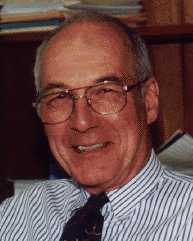 Professor Van Horn served as a member of the Board of Trustees of Associated Universities, Inc. (AUI) from 1983 to 1993, and he has held a number of offices in the American Astronomical Society (AAS). He was elected a Fellow of the American Association for the Advancement of Science (AAAS, 1991), and he has been a member of the Senior Executive Service of the United States of America since 1996. Professor Van Horn's research is in the general area of theoretical astrophysics. His interests include the structure, evolution, and non-radial oscillation spectra of white dwarf stars, neutron stars, brown dwarf stars, and accretion disks. In addition, he has investigated the physical properties of matter at ultra-high densities, including nuclear reaction rates, equations of state, and opacities. He is currently working with other colleagues at the University of Rochester on the dynamo generation of magnetic fields and relaxation oscillations in asymptotic-giant-branch stars, and he is completing a book about the white dwarf stars.